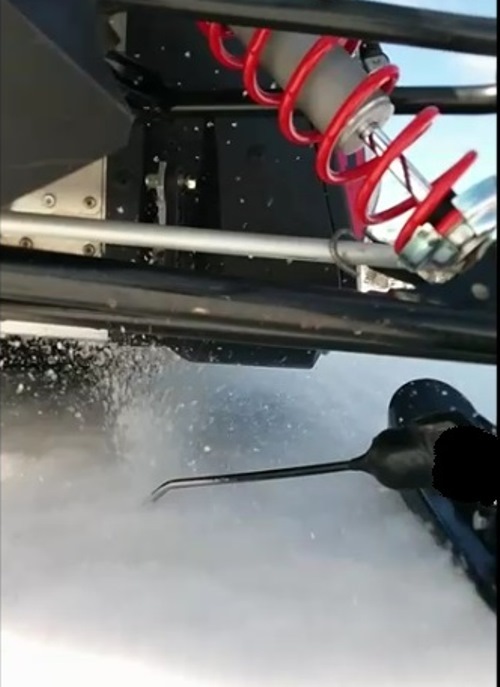 Get snow where you need it and cool and lube your sled! Maintain constant pressure. Reversible. Easily installed and stored! Yoke base “U”and spring/bolt assembly designed specifically to function as an extreme impact absorbing unit. 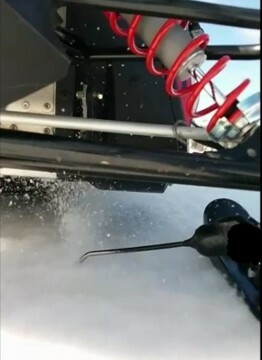 the more lubricating ice chip spray is generated for the slider/track clips.